Sources told ABC News satellite builder Northrup Grumman is to blame. Just what happened to the top-secret Zuma satellite launched by SpaceX this past January is still a mystery -- but the investigation into its failure has cleared SpaceX of any fault for the satellite failure. SpaceX President and COO Gwynne Shotwell from the very beginning asserted that the company's Falcon 9 rocket performed as expected: “For clarity: after review of all data to date, Falcon 9 did everything correctly." 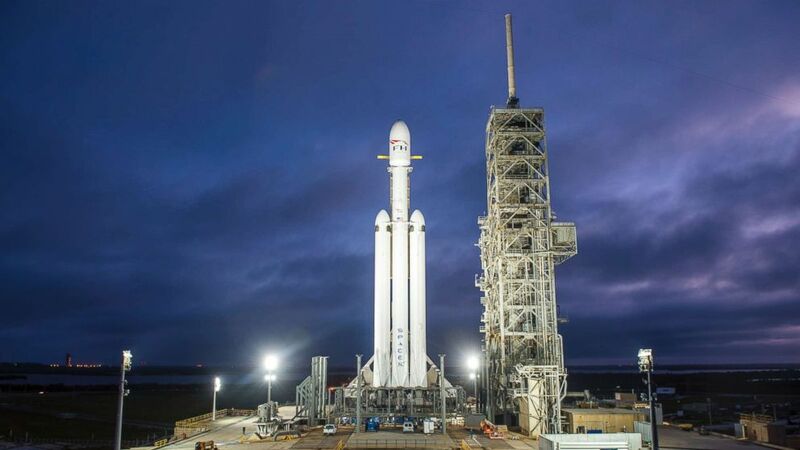 (SpaceX/AP) This Dec. 28, 2017 photo shows a Falcon Heavy rocket in Cape Canaveral, Fla.